If you have the time, talent or inclination to make a hostess gift rather than buy one, that’s the way to go. It shows you put some thought into the gift and, let’s face it, it is usually much cheaper. Win-win. Want to really stand out? Bring homemade ice cream. I can pretty much guarantee you that no one else at your dinner party will come bearing a gift in a portable cooler. 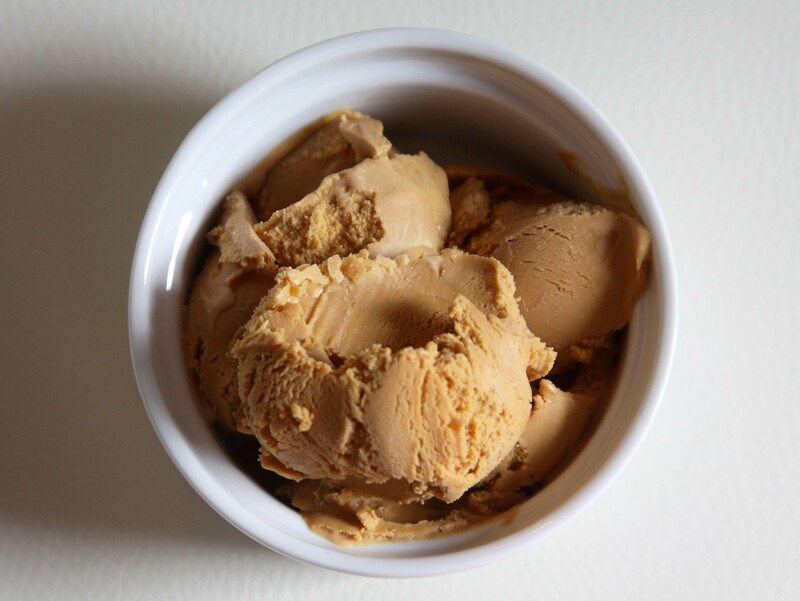 My sweet friend Carmen gave me homemade salted caramel ice cream when she came over recently. Not being one to really make ice cream on my own, I was touched by her thoughtfulness and was in awe of the effort. And, best of all, it was totally unique. I’d never had anyone bring homemade ice cream to me before. Though as a note to future guests in my home: I would be open to receiving it again. After suggesting Drinks by the Dram and the Moscow Mule drink kit, I’m sure it comes as no surprise that I’m suggesting yet another alcoholic beverage for your lovely hosts. 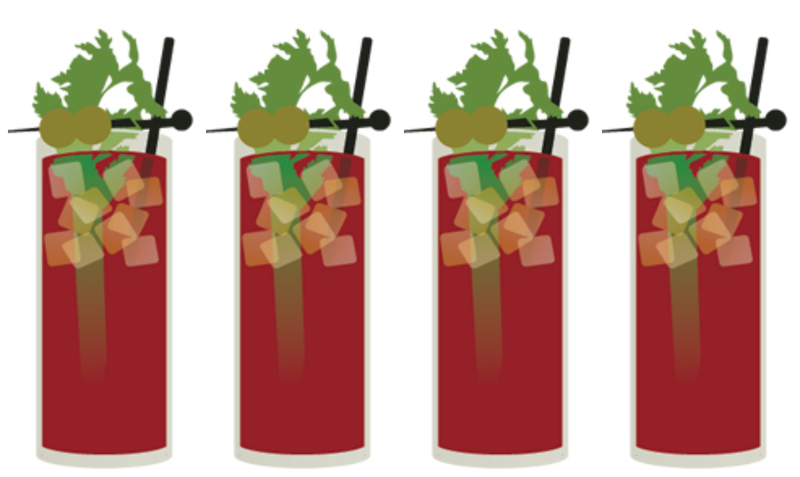 Everyone loves a Bloody Mary. And if they don’t, they just haven’t been introduced to the right one yet. This recipe, with a few modifications, is really great. I personally like more Worcestershire and hot sauce, but not as much horseradish. And even though the recipe says the vodka is optional, it’s not. Oh, and no sense containing the libations to liquid form. 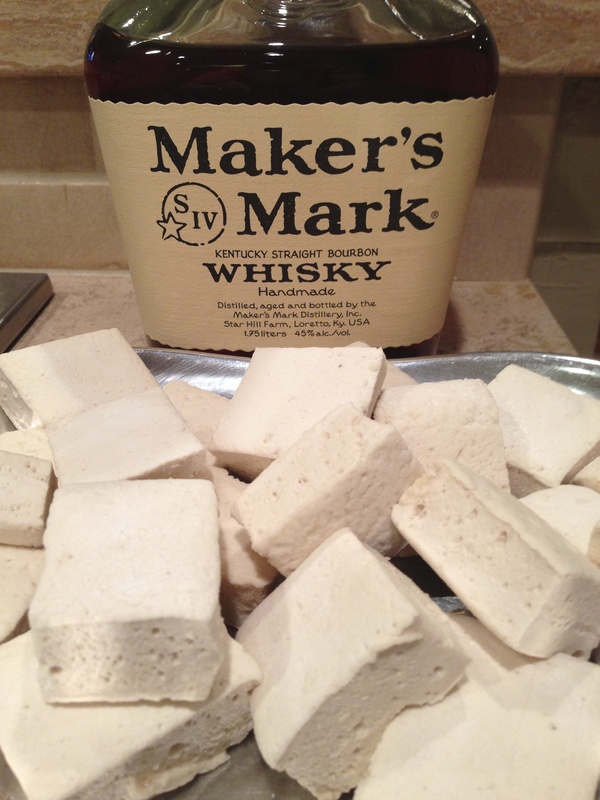 Whip up a batch of these Maker’s Mark marshmallows (which are surprisingly easy) and bring half of the pan to your hosts. The recipe makes a ton, so keep the other half at home for yourself. You’ll thank me later. You know how basil plants try to compete for height with oak trees in the summer? Yeah, that’s happening in my yard for sure. Its out of control and I have many, many batches of pesto to prove it. 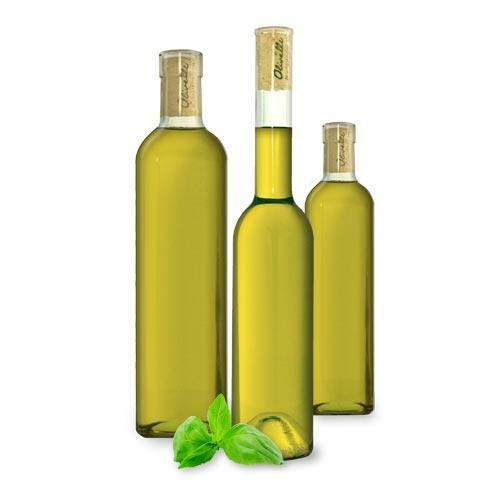 That extra basil can also be used for infused olive oil, and boy is it good. Perfect for light summer salads or rubbed on fish or for dipping bread. To make it, chop 2 cups of fresh basil and place it into a saucepan with 2 cups of extra virgin olive oil. Cook over medium heat for 7-8 minutes then remove from the heat. Let the basil steep in the oil for another 30-40 minutes. Strain the basil leaves out and pour the infused oil into a jar. You can, of course, use other herbs depending on your preference. I guess I sound like a broken record now, having mentioned this in the other two posts about hostess gifts, but I can’t overstate the importance of a thank you note! Its the surest way to get invited back! Are there any hostess gifts that you like to make from scratch? What are they? Carmen always know the neatest things 🙂 Love the hostess gift ideas! I am definitely going to try a few of these. Still my best batch of homemade ice cream to this day! Awesome list!